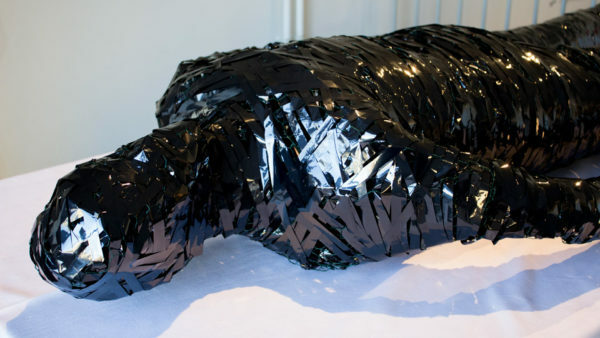 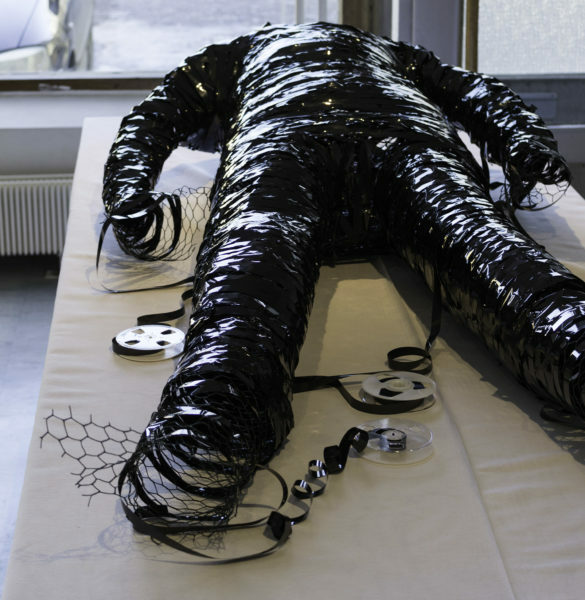 Human size sculpture made of VHS video tape and mesh. 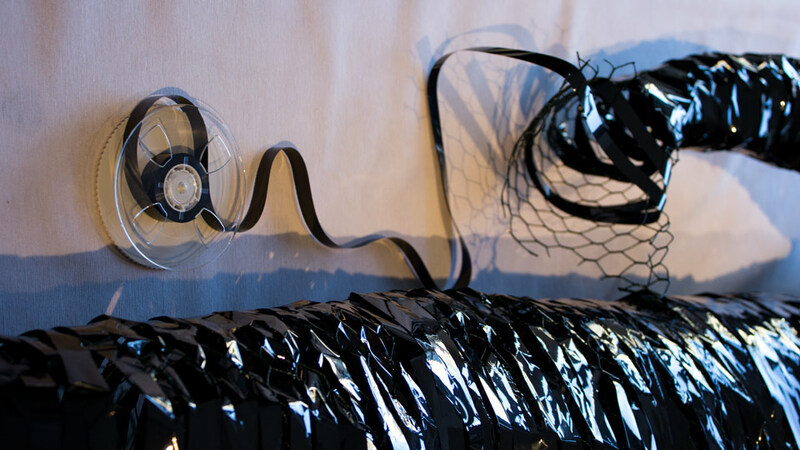 Installed on a table covered with white tablecloth. 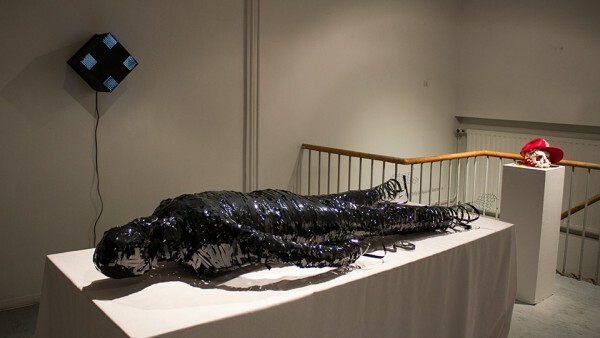 Pictured on display as part of “Valekuolema” solo exhibition at Galleria Rajatila, Tampere, Finland in March 2016.